Originally founded by Megan Tucker in 2015 during the refugee crisis, Charity United continues to provide humanitarian aid, now throughout several countries of the world. The organization has collaborated with nonprofits and grass-roots groups within Europe, Asia, South America, the United States, and Canada, and have brought humanitarian aid to children and families in Europe, Asia, and South America. 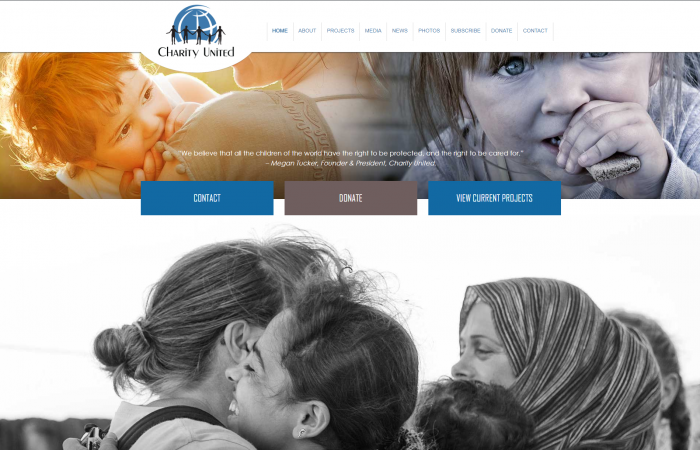 “At Charity United we believe that all children in the world have the right to be cared for and the right to be protected – regardless of their race, nationality, or creed. We also believe that the care and education we give to the children of today will shape the future of our world.” – Megan Tucker, Founder.